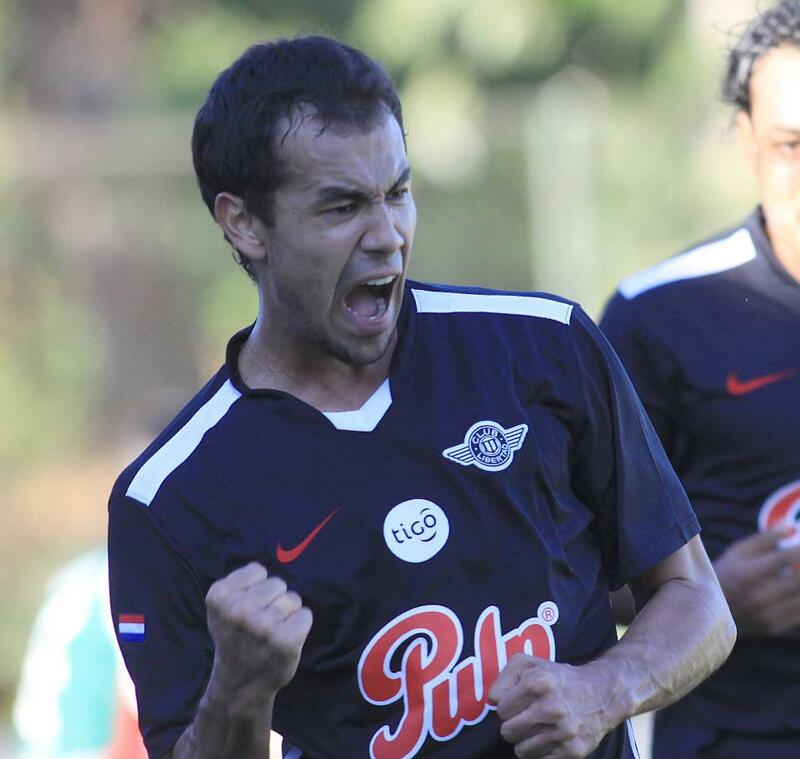 Back in April we looked at the top 5 home-grown strikers in the domestic league around the halfway point of the 2012 Apertura, as we approach the midway stage of the Clausura it seems fitting to re-assess the list. Four of April’s men have now gone abroad to new horizons – Derlis Gonzalez (Benfica), Pablo Zeballos (Krylya), José Ortigoza (Shandong) and Edgar Benítez is in Toluca. The only player still here is Ariel Bogado who switched from Nacional to Luque. Here is the new list with the best five strikers to date. A physical striker, he gives his side a presence in the penalty box and while he often scores with his head he shows touches of skill on the deck that remind us just why he was on both Roma and Udinese’s books as a youth player. 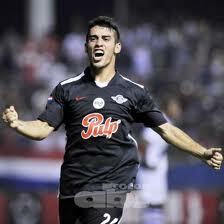 He played in Peru (Cesar Vallejo) and in Bahia Blanca with Olimpo before returning to Paraguay. An injury kept him out of the game and before joining Tacuary last year he was playing amateur football and earning his trade as a street vendor in his home city of Caaguazú. 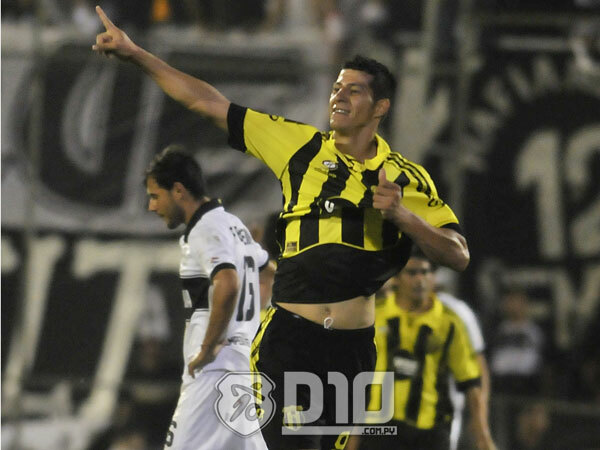 This year he has been on fire for Guaraní and was the finisher they lacked in the Apertura following the departure of Federico Santander. The newly promoted club were confident that the man with the german-sounding surname was the real deal having watched him take the golden boot in the Intermedia in 2011. He scored 14 goals for the Rayadito last year and while he may have struggled to find the net early on in the Apertura he has been on fire since. His good eye for goal and his ability to make clever runs behind the defence are his major strengths, he has a habit of scoring when it matters too, grabbing two against Olimpia in the Apertura, one in the Clausura and also this season the winner against Guarani (their only defeat to date). He has caught the eye of national team coach Gerardo Pelusso who called him up to the recent ‘casera’ squad. Quick and energetic, Nuñez is as good at creating goalscoring opportunities as he is finishing them and has formed a good partnership with Pablo Velázquez this season. He is one of the many success stories of Libertad’s youth academy and other than a brief spell at Tacuary on loan he has remained at the club. You can usually see him latching onto a through ball and slotting home. 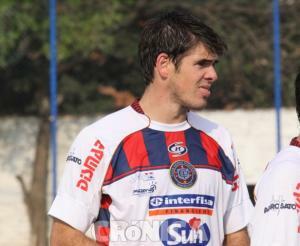 The big man has settled back in Libertad having spent some time on loan at Rubio Ñu and later San Lorenzo in Argentina. He is great at receiving the ball into feet and bringing others into play around him. He also possesses excellent technique that sets him apart from a typical target man, he often scores from outside of the area, in fact none of his Clausura goals have been headers. 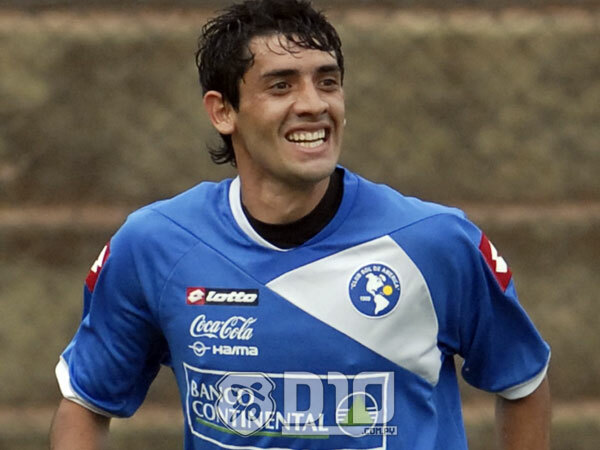 His best year was in 2009 with Rubio Ñu when he notched up 26 goals over the Apertura and Clausura. This has to be the revelation of the season, a young striker who surprised me with his excellent movement off the ball and that poacher’s habit of getting into the right place in the right time. Ricardo Dabrowski rates him so much that he is often rotating Lorenzo Frutos, Esteban Rivas and Enzo Prono around Vazquez. Unfortunately Vazquez is a ‘google ghost’ and I’ve tried to get some of his stats from the club but had no response, anyway an exciting prospect and worth keeping an eye out for. This entry was posted in Paraguay Talent and tagged Diego Centurion, Diego Vazquez, José Ariel Nuñez, Pablo Velazquez, Rogerio Leichtweis. Bookmark the permalink. wow didn’t realize Leichtweis was only 14!!! The kid has a bright future ahead of him 😉 – edited now!